The Assisted Living community provides seniors with the assistance they need to live a happy, healthy and active life. It also provides peace of mind knowing that helping hands are never far away. Our staff works with each resident to determine which daily tasks they need assistance with to create an individualized environment. Each community individualizes activities that promote independence and healthy aging. We aid in assistance with daily tasks such as addressing daily activities, housekeeping, daily dressing, eating, bathing and bowel/bladder care. When medical treatment is no longer able to help the resident, hospice gives special care to make the resident comfortable through the oversight of each resident’s personal physician. When a caregiver needs to be away, or is recovering from surgery or illness, we provide short-term care for individuals that need special care for many reasons. Whether respite care is needed for a weekend or a week or longer, we can accommodate as needed. The diagnosis of Alzheimer’s or Dementia affects the entire family. 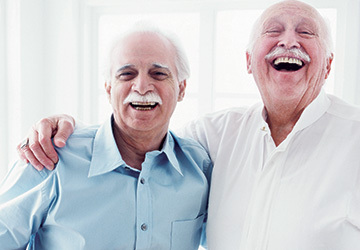 Our memory care communities provide a delayed egress and an environment to walk the community independently. Our approach includes daily activities that promote the practice of mental, physical and daily life skills. There are meals designed to promote dining skills and proper nutrition in a dining room setting. Our staff is trained to support the special needs of the memory care resident.